Sell Galaxy Round | How Much is My Galaxy Round Worth? Select the information above in order to receive an accurate quote for the Galaxy Round you want to sell. Click sell item if you agree with the price that is displayed. GreenBuyback purchases cell phones, tablets, and laptops at the highest prices in the industry! GreenBuyback pays cash for your old cell phones, tablets, and laptops. When you sell your cell phone, tablet, or laptop to GreenBuyback you will never have to pay shipping. GreenBuyback is dedicated to maximizing the cash back to our customers. Sell your Galaxy Round for cash today! 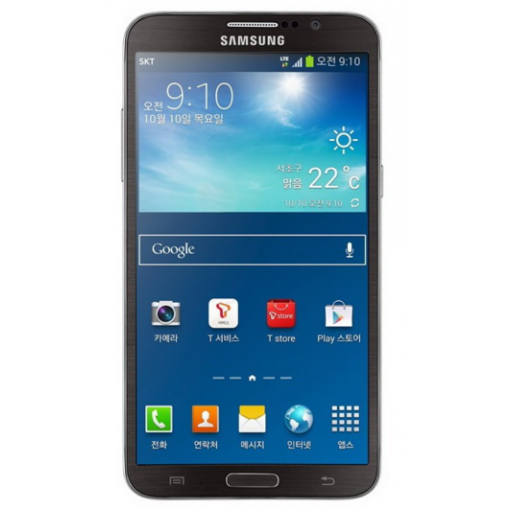 Samsung released the Galaxy Round Smartphone in October, 2013. With a 5.7 inch screen, this phone is unique in that its screen is curved! The Galaxy Round, featuring the curved smartphone screen, has full 1080P HD video recording. The Galaxy Round was only available in Korea for a long time, as many didn’t understand the appeal of the curved screen. Selling your Galaxy Round is so easy with GreenBuyback; send your Galaxy Round to GreenBuyback with free shipping and you’ll get cash sent to you fast! The battery life on the Galaxy Round is decent, with 16 hours of talk time. The Galaxy Round weighs 5.43 ounces and operates on an Android system. GreenBuyback will buy your Galaxy Round in any condition, even broken. Simply head to GreenBuyback to get a quote, send your Galaxy Round in, and get cash quick!